The 2011 John Deere Gator for Sale by Owner is a gas powered 2011 John Deere 625i with 1407 hours on it. The Gator runs like a top and has 2x4 or 4x4 running capabilities. used Gators for sale by owner. 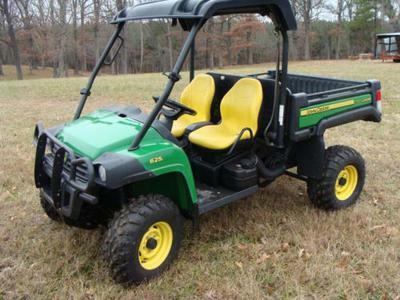 For more details and pics call me: or text: (920) 786-8one44 and please mention that you found this nice 2011 John Deere Gator for Sale by Owner on GoGoCycles Used Motorcycles for Sale when you phone!